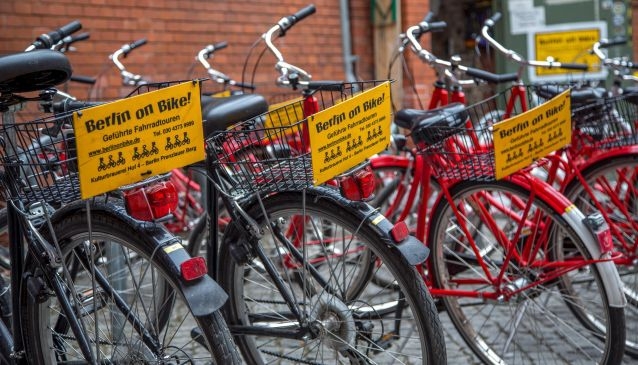 The best way to discover Berlin is on top of a bike and Berlin on Bike offer two great tours to help you get to know this amazing city a little better: Berlin's Best and the Wall Tour. On the Berlin's Best tour your expert guide will show you all the main historic sites in Berlin as well as giving an interesting and informative commentary. Feel free to ask questions along the way, as their guides love to tailor their trips a little to what you want to know. Don't have a bike? No worries! Berlin on Bike has a fleet of 500 regularly maintained bikes for you to hire for an additional €5. In addition to the two public tours on offer, Berlin on Bike can also organise private tours on a number of topics.